The very fact that you are looking out for a Virtual Private Server or VPS hosting implies that you are serious about your online presence and that you need a reliable web hosting partner. However, many VPS providers wrongly construe your requirement in the form of a burgeoning pocket and come up with highly priced plans to make the most of it. Very few providers understand your budget constraints and the value you are looking to buy with your money. 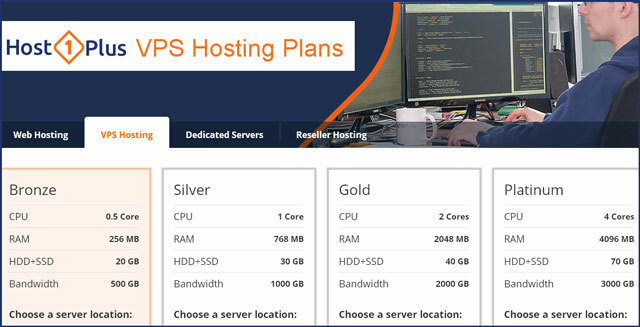 Host1Plus is one of such few VPS providers that offer a good value proposition with their down-to-earth pricing. Started in 2008, they soon went on to establish a loyal customer base of more than 34,000 and an overall rating of 4.7 stars. 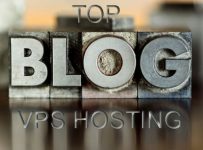 So, what is Host1Plus VPS hosting like and what all features can you expect from it? Here is our detailed review. Host1Plus offers 4 different VPS plans, namely Bronze, Silver, Gold and Platinum, with pricing ranging from $2.5/mo to $51/mo. Now, $2.5 a month is a ridiculously cheap price considering that it’s hard to find even a good shared hosting for that price. However, do keep in mind that what you are buying is an unmanaged VPS and the responsibility of administering your server lies with you. So, if you’re not so familiar with server administration, then you may want to go for optional upgrades like cPanel and Extra-Care Support. Another good thing about Host1Plus VPS is that you can have your server preinstalled with certain applications like WordPress, OpenVPN, ISPConfig, etc. ; you just need to choose them at the time of placing your order. 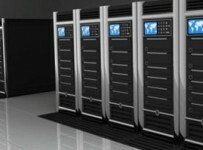 All of these VPS plans can be customized allowing you to build your own unique virtual server. You can choose your required CPU, RAM, HDD, bandwidth, etc. ; you have wide flexibility to configure the server the way you want. Since it’s a Linux VPS, the choice of operating software you get for your server includes Ubuntu, Fedora, Centos, Debian and Suse. Unmanaged VPS is usually coupled with the benefit of giving you the root access to the server. Host1Plus also believes in giving you the complete freedom; you can install and run any application or software you want to. Types of server modules available include TUN/TAP, NAT and PPP. As of now, there are 5 different server locations you can choose from – Frankfurt (Germany), Sao Paulo (Brazil), Johannesburg (South Africa), Chicago (USA) and Los Angeles (USA). As you might already know, you should choose a location that is nearer to your website audience; this will reduce the time taken in fetching the website data from the server and make your site load faster. Note that the pricing of your plan varies depending upon the server location you opt for. Apart from giving you the choice to optimize your hosting with additional IPs, Host1Plus also offers separate VPS SEO Hosting plans – Light, Advanced and Pro. These plans allow you to host your sites over unique IPs under different IP classes. For example, under VPS SEO Light, you get to host unlimited sites over 50 unique IPs spread across 4 different IP classes in the US. This offers additional security and SEO advantage for your site since it tells the search engines that your site is not related to other sites (that are linking to you or are low quality) hosted on the same physical server. In case you feel the need to upgrade to next level of hosting anytime in future, Host1Plus also offers dedicated server hosting and reseller hosting. Other related services on offer include domain name registration/transfer and SSL certificates. They have a friendly support team that can be accessed 24×7 through online chat, email and support ticket. Additionally, you can also upgrade to Extra-Care Support for higher level of instructional help and on-request services. The VPS subscription you buy comes with a 14-day money-back guarantee. 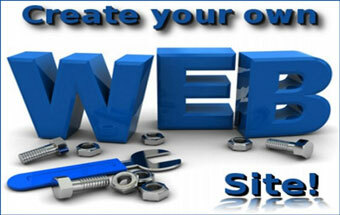 Most web hosting providers try to attract customers through heavy spending on branding and advertising. Few others like Host1Plus instead choose to go low profile and pass on the savings to their customers. If you are looking for a good quality VPS without burning a hole in your pocket, you’ll be hard pressed to find an alternative cheaper than Host1Plus. I highly recommend to try them out! Do you a place available now for this beta teitsng? I would like to participate in it. I am looking towards long term relationship by ordering US and UK based VPS after beta teitsng.